If you are a business, you provide a product or service. If you are providing a good product or service, your existing customers are talking favorably about you. What do you do when you want to know more about that business your friend mentioned? You Google the name of the business. What do people find when they search for your business name and the city you are in? When someone searches for your business by name + city, this is a brand search. Here is a secret: many business owners don’t know that you, yes YOU, can control the top result for your brand search. You don’t have to be a HUGE Coke or Pepsi. You just have to claim your Google My Business Page. Let’s take a look at Drop The Strap. It is located in Collierville TN. 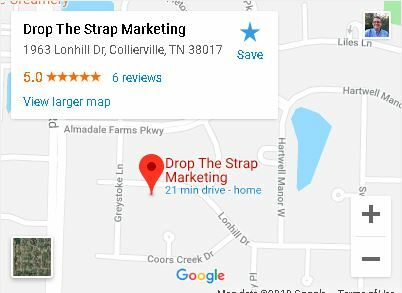 Here is what you get when you search Drop The Strap + Collierville. Notice that BIG box on the right full of Business Name, Business Address, Business Phone, Business Website and hours of operation? Claiming your Google My Business(GMB) account has another benefit. It is your GMB account that populates the information you see in the Google Snack-pack. 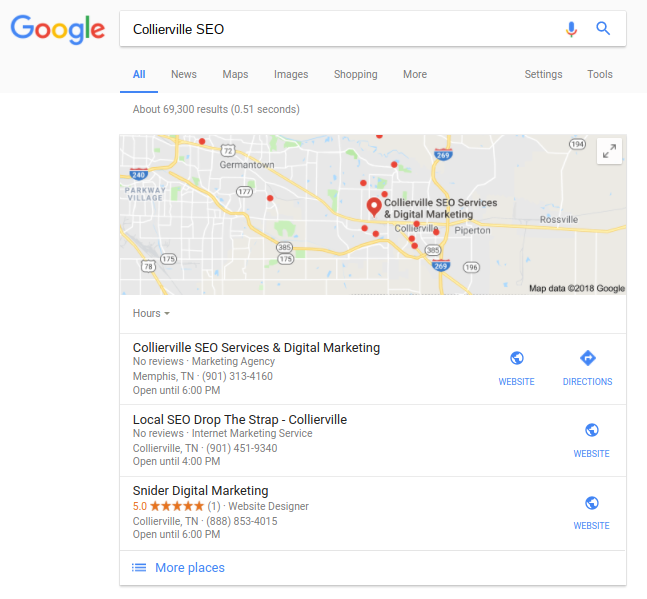 Google puts a map up on your results when they believe you are looking for a business in your area. Drop The Strap provides SEO services. 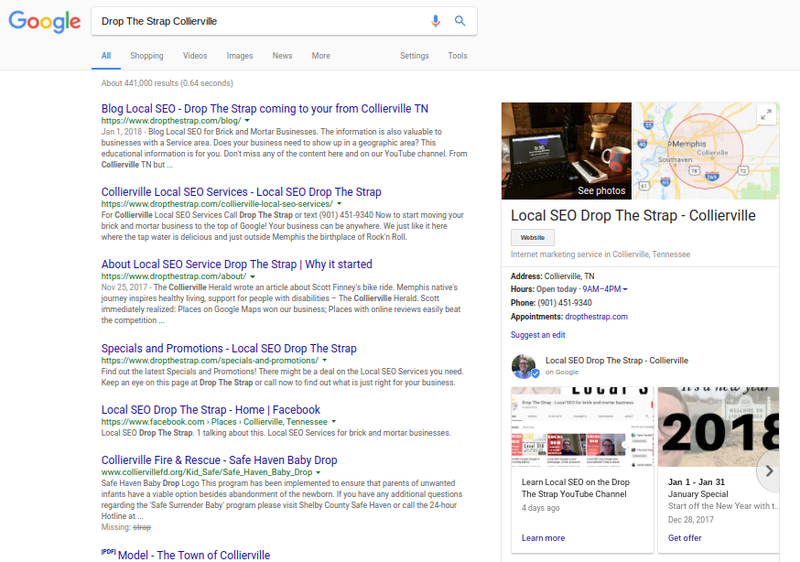 Let’s see what searching for Collierville + SEO returns. Check out those results and Google puts the Business Name, Business Phone and a link to the website right in front! Did you learn something in this post?